I am fully aware that it might not be the smartest idea to make this first recipe a pie which I am about to have delivered by parcel service, and which will probably end up either lost somewhere in Germany or reach its destination as total mush. But the prospects of surprising two dear friends with a freshly (as in 24h express delivery time ago) baked pie and making their weekend a bit (rather: a piece) more special make it worth taking the risk. 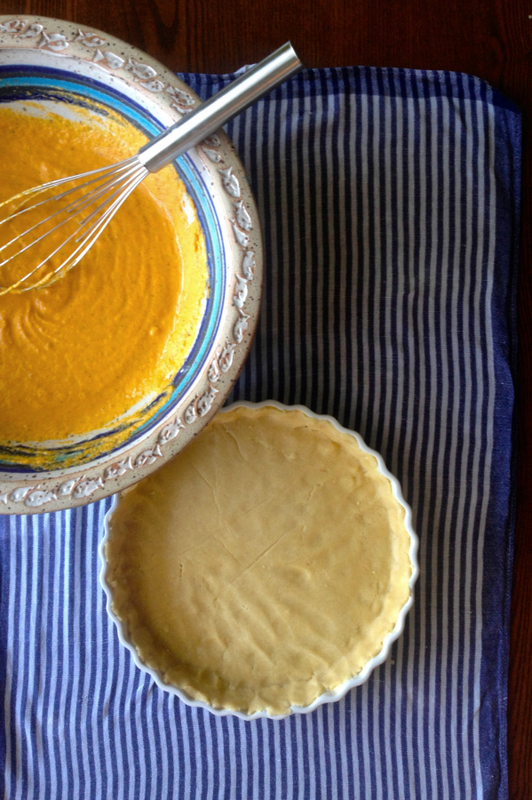 Especially, since it was Sandra and Stefan who made this pie – whose original (and originally rather unoriginal) recipe came off a tin of pumpkin puree – a very special one to me, that I have kept and tweaked since I made it for them for the very first time. They came over for a visit from Cologne when I was still living with 5 housemates, too much drama, and the beginnings of a relationship during my time at university. We had dinner in our shared kitchen, and after an already quite substantial meal of some pumpkin gnocchi with spinach and cod with beet root and mustard mash, I served this pie for dessert. It always brings a person closer to my heart when I first share a moment of overindulgence with them. And since those second and third helpings of pie, Sandra and Stefan have stuck to me like the pie to my hips. What makes both this pie and its story really special though, is the day after: This is when the flavors of the spices have developed – and when my sneaky friends embarked on a trip to Italy where they secretly got married. 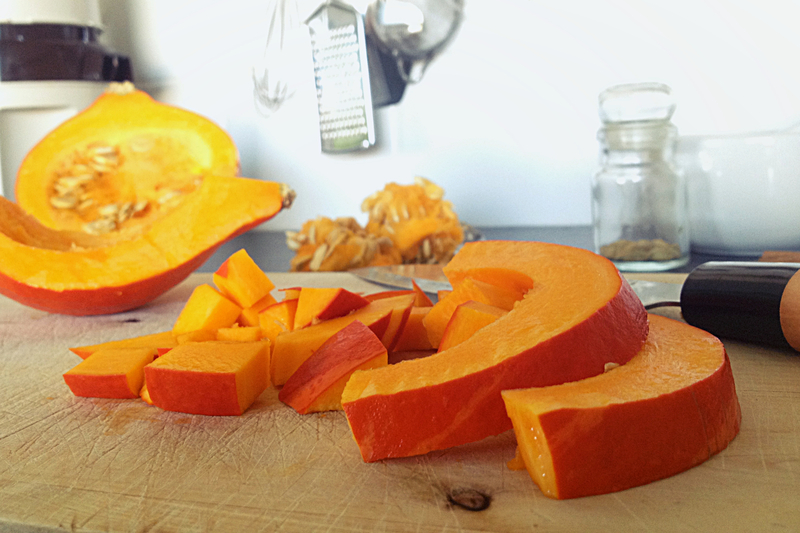 For this (or any) pumpkin pie I suggest you mash the pumpkin raw. Although it is baked later, i feel the freshness of the raw pumpkin somehow persists and beautifully cuts through thˆe musky depth of the spices. Putting in the extra effort (and some sour cream) really makes all the difference compared to cooked pumpkin puree. This recipe uses my staple version of a short pastry which is the simple 3-2-1 formula of (3 parts) flour, (2 parts) butter and (1 part) sugar. 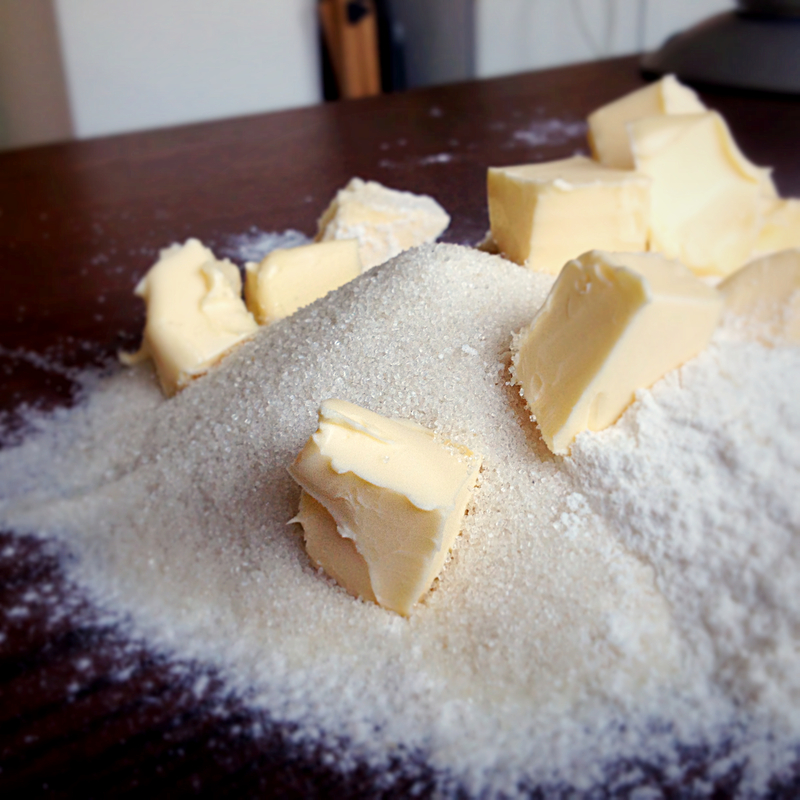 For making pastry, the butter should always be cold. And in general, even if you are not baking cake, it should always be sweet cream butter. Always. Forget anything else ever existed. (Always) start by preparing your baking mould. I use a 24cm ceramic fluted one here. Butter it (like you mean it) and set it aside. 1 Sieve the flour, sugar and salt on a flat surface and scatter with small cubes of cold butter. With cold hands, rub the butter cubes between your finger tips, creating a texture of wet sand. Then beginn pressing the crumbs together, forming a single lump of pastry. Be careful not to actually kneed it and let it get too warm. If it keeps falling to dust, add a little bit of ice cold water at a time until it firms up. When it baaarely holds together, form a disc (about 1 inch in height), wrap it in cling and refrigerate. 2 While the pastry dough serenely rests and develops the gluten (which will stabilize the pastry later without making it tough) prepare the filling. Deseed the pumpkin and cut it in smaller cubes which you can atomize with whatever heavy machinery you have at your disposal. 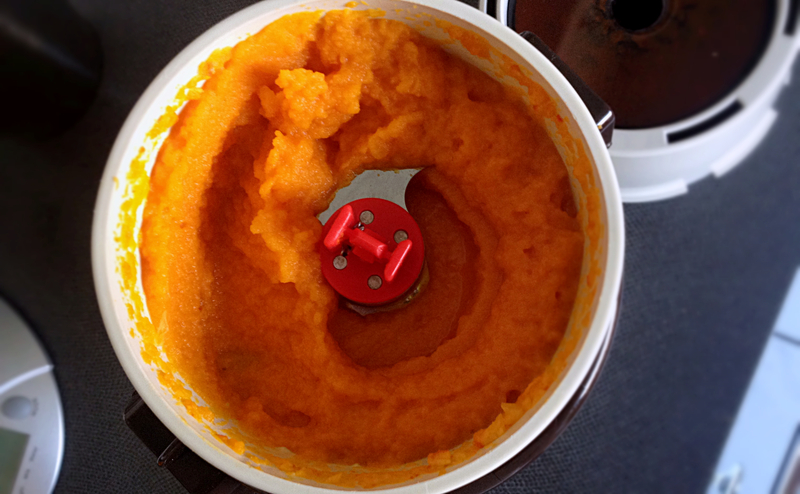 I use another one of my time machines, a “Moulinette” food processor from the 70s. It helps if you add a little water to turn it into a smooth puree. 3 Weigh out 450g of the puree and mix it with the other ingredients for the filling. 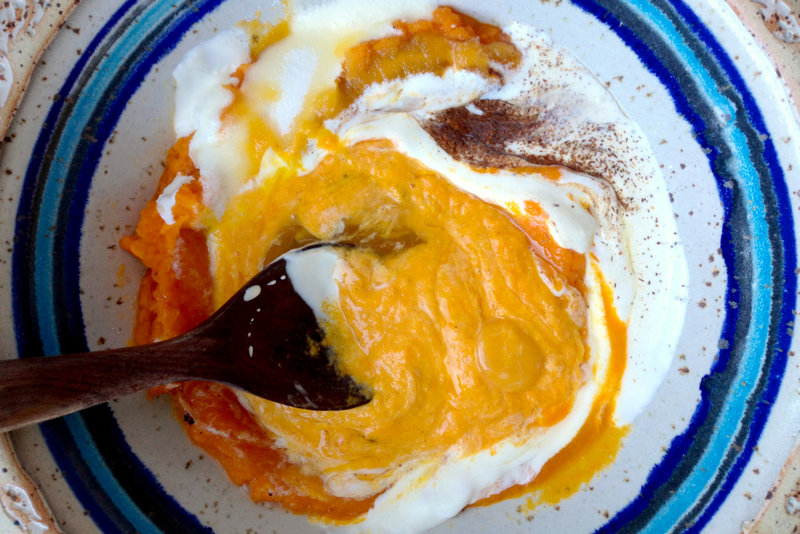 With the spices, I like to echo the grassiness of the pumpkin and the coolness of the sour cream, but also add a little warmth and coziness. Some heat is provided by about a third of a cinnamon stick and 3 cloves, ground up with the seeds of 2 pods of true cardamom, which adds a minty freshness. I also add the seeds of a vanilla pod and grate in some nutmeg. This, of course, comes down to your personal taste. 4 Preheat the oven to 180°C top and bottom heating. While the oven heats up, get the pastry out of the fridge and let it sit outside for about 10 minutes. For rolling out the pastry, I have come up with the following method after too many years of too floury pastry: dampen a kitchen cloth and spread it on the table. Put a sheet of baking parchment on top. Place the pastry disk in the center and spread the cling film over it. 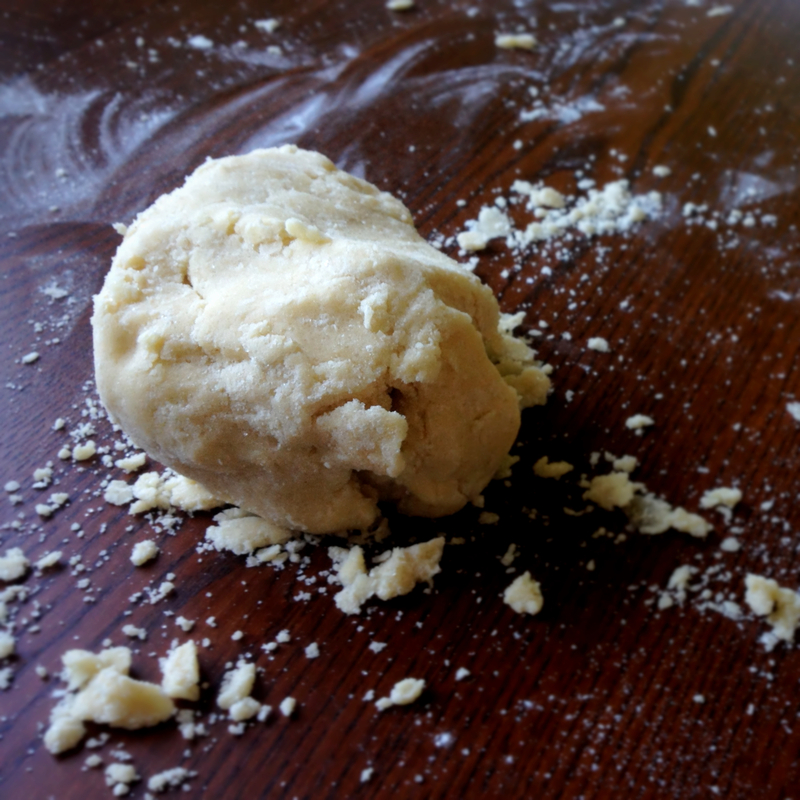 Now you should be able to roll out the pastry without using any additional flour. 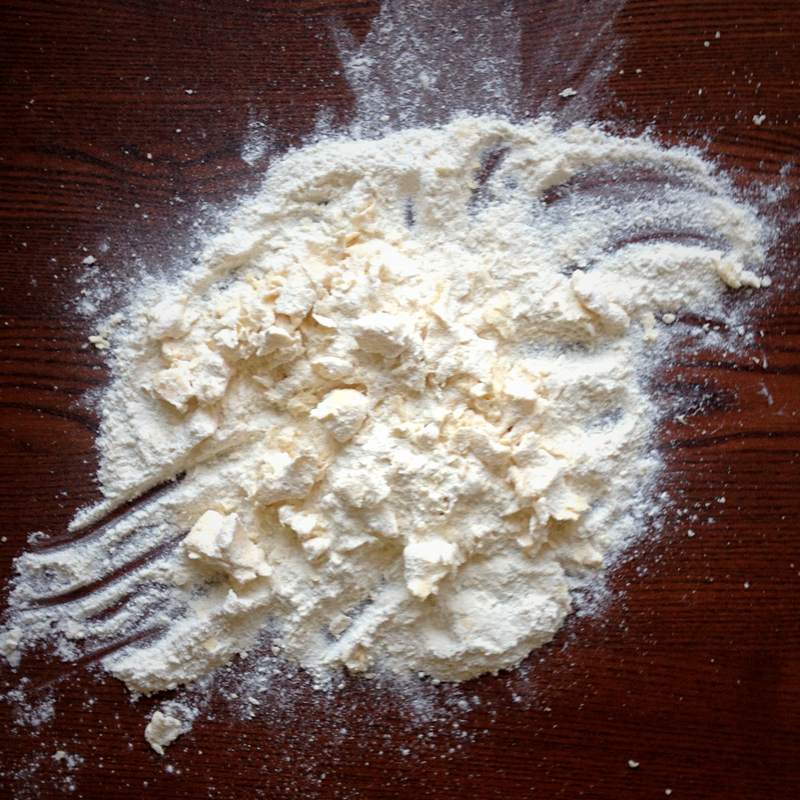 Less flour in your pastry means more flakiness and buttery goodness later. Roll it out until it is about 1cm larger in diameter than the baking mould. Remove cling and lift the pastry up using the baking parchment, and with verve flip it into the mold. 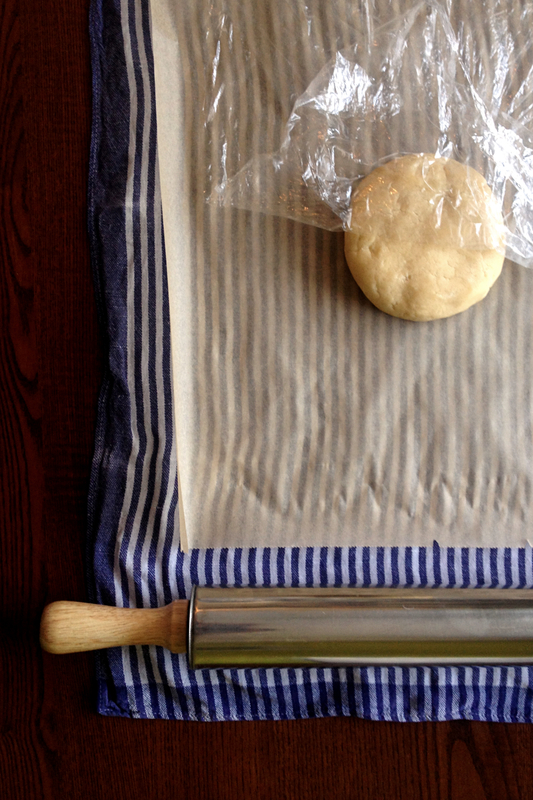 Be quick about the whole rolling out process, so that the pastry doesn’t get too warm. When flipped, carefully tear off the baking parchment and spread the pastry in the mold using your fingers. 5 Pour in the filling and bake in the middle of the oven for about 50 Minutes. The filling will rise a bit like a soufflé during baking and set again later. The pie is ready when the top is golden and a soft touch in the middle suggests cheesecake-like consistency. mein lieber tobi, DAS ist also dein allererster blogpost! ein historischer moment quasi, und dann auch noch mit unserem geliebten kürbis! inspiriert von dir werde ich mich nun auch mal an eine kürbistarte wagen, höchstwahrscheinlich mit kardamom, das stelle ich mir lecker vor…ich berichte! p.s. immer, wenn ich “bragnbutter” google, schlägt man mir den wechsel zu “bratbutter” vor. herrlich, oder?